Snap, the parent company of messaging app Snapchat, has brought on two new executives from Amazon and The Huffington Post following the departure of its chief strategy officer. The company hired Amazon’s head of global advertising sales Jeremi Gorman to be its chief business officer, responsible for the company’s “global business solutions, global online sales, customer operations, and business marketing,” CEO Evan Spiegel said in an email to employees on Wednesday shared with Business Insider by a spokesperson. 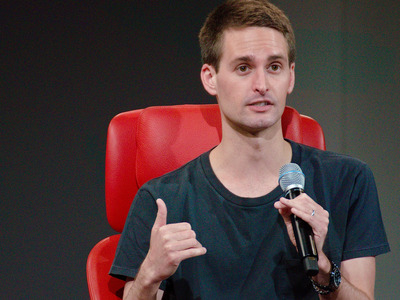 Click here to read Evan Spiegel’s full email to employees. Twitter is soaring after beating Wall Street expectations – but it’s lost millions of users. Twitter reported earnings of $US0.21 a share on revenue of $US758.1 million but monthly active users fell by 4 million year-over-year. Investors love Amazon’s cloud and advertising efforts, but it could have just gotten a big boost from an older business. Amazon is set to report its third-quarter results on Thursday, and its e-commerce business might boost its results, thanks in part to booming business on Prime Day. An offhand comment about ‘content costs’ by AT&T should scare some TV networks. On AT&T’s earnings call Wednesday, its CFO made comments about evaluating its DirecTV Now channel lineups to “align content costs with the price.” That is not welcome news for some networks looking forward. Bleacher Report has a plan to weave brands like McDonald’s into its new House of Highlights Twitter show – without being annoying. “The House of Highlights Show” is a new Twitter show that will livestream for 75 minutes once a month. WPP’s shares dipped 20% in early London trading after reporting disappointing third-quarter results, reports the Wall Street Journal. The world’s biggest holding group cut its full-year guidance amid new leadership and ongoing challenges in the industry.